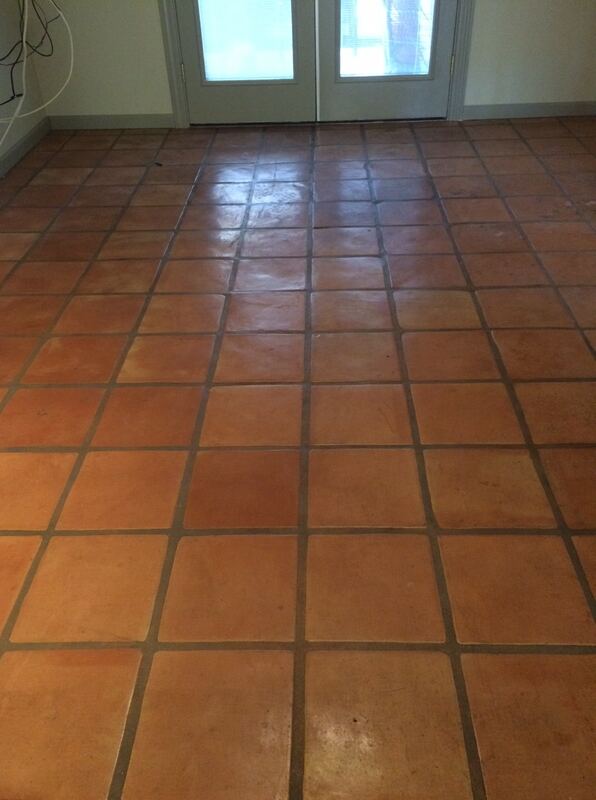 Clean and Seal Saltillo Tile and Mexican Tile. Tile and Grout Can Be Refinished, Colored, Stained and Renewed. Since much of the ambiance of Arizona is steeped in Mexican culture, including building and decorating styles, Saltillo Tiles and Mexican Tiles are extremely popular. Saltillo tile is a type of terra cotta tile that originated in Saltillo, Mexico. These tiles are made from natural clay and mostly produced in Mexico. They have a distinctive rustic appearance and sometimes contain animal tracks made during the drying process, which are said to be good luck. True Mexican tile is made by hand and fired at low temperatures. These tiles vary in color depending on where the tile was placed among the other tiles when they were fired. 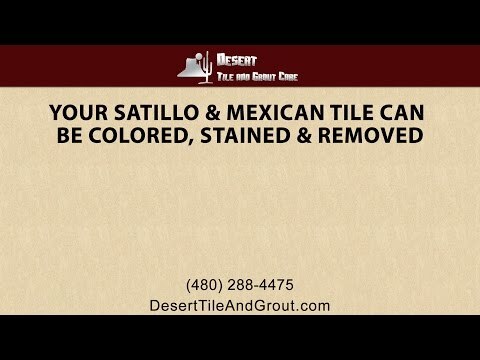 Your Saltillo and Mexican Tile Can Be Colored, Stained and Renewed By Desert Tile and Grout! Being hand made, they are not perfectly flat or perfectly shaped, which gives the room they are in a softer, more rustic look. They are available in a variety of colors, but are most often orange, beige, or red. Mexican tile is extremely porous by nature, and stains and scuffs easily if not properly sealed and maintained with the proper sealant. Unlike most ceramic tile, there is no glaze on the top surface of the tile. Once properly sealed, notice when water begins to soak in rather than bead up. Then you will know its time to reseal your Phoenix tile floor. Mexican Talavera tiles are handmade and handcrafted earthenware squares that are glazed with bold colors and then hand-painted. It is very rustic and colorful, often used on walls and countertops. They are smaller, most commonly 4 inches by 4 inches or 6 inches by 6 inches. No Southwestern-style kitchen is complete without Talavera. Sometimes natural tiles develop a problem with efflorescence and professional cleaning may be needed to remove it. Efflorescence is a white crystalline substance sometimes seen on the surface of Mexican tile and is composed of salts, lime and other minerals. These salts come from inside the clay where alkali substances exist. As water evaporates from within the clay the salts can move to the surface. If your Mexican tile is beginning to show wear, don’t wait for it to be irreparably damaged. Have your Chandler AZ tile and grout colored, stained, sealed, and renewed.